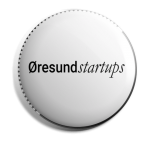 Hasselt-based startup Small Teaser raised €800K in its first capital round from LRM, The Co-Foundry, and several business angels for investing in R&D, marketing and expanding into the US market. Founded by twins Stijn and Ruth Janssens in 2015, the online platform with a built-in ad server encourages writers and publishers to work together in blogging their content and to be rewarded with a royalty-based share of the ad revenue. 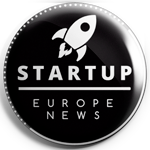 On March 9th, 2017, Small Teaser has been awarded as “Startup of the Year” during Tech Startup Day in Brussels. The new investment of €800K comes from LRM, The Co-Foundry, and several business angels: Frank Bekkers, Koen Desmedt, and Bart Claeys. It will be used to expand into new markets with the largest growth potential in the US, said Ruth Janssens. “We are active in several countries today, but we see the largest growth potential for our platform in the US. After months of optimising the platform and marketing experiments, we are ready to scale, ” explains Ruth Janssens.